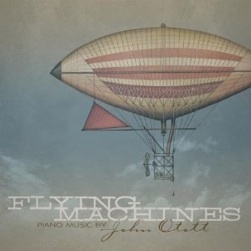 Flying Machines is John Otott’s third release, but his first solo piano recording. A multi-instrumentalist and composer from a very young age, Otott has shared the stage with some of the biggest names in jazz and pop music. He has also composed numerous television spots for E! Entertainment and the music for Lisa Duke’s BA, a musical about the life of Victorian poet Elizabeth Barrett Browning. Flying Machines contains eight original compositions that convey a broad range of emotions. A few of the pieces have keyboard enhancements, but this is mostly a solo piano album. From light and delicate to strong and powerful, the expressiveness of Otott’s music clearly demonstrates what an accomplished musician he is. 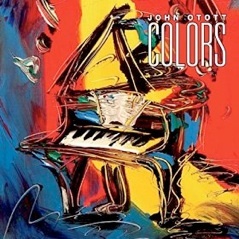 I really like the variety of the pieces on this album - they flow together well as a whole and give a very nice sampling of Otott’s versatility both as a composer and a pianist. This is a short CD, at just over twenty-five minutes, but the quality is very high and the music is exceptional. “Falling Softly” begins the album with a light, carefree piece that includes ethereal voices and strings behind the piano. The piece builds as it evolves and becomes more dramatic and intense before returning to the opening theme - a great beginning! I love “Emerald Bay,” and its flowing left hand and poignant melody. “Reflection” is a joyous dance that leaps and swirls as it progresses. I really like this one, too! “One Minute Fairy Tale” is an epic tale told very concisely - perfect in its brevity. “September’s Promise” is a gentle ballad from the heart. It changes tempo in the middle, becoming more upbeat, but just as sincere. “Let It Rain” is much darker and more dramatic. String washes enhance the dramatic effects of the piano, which go from quiet showers to crashing thunder to the sun peeking out from behind a cloud - a fascinating concept piece! “Remembrance” begins quietly and pensively, changing themes several times to express different emotions. String washes add touches of drama and color. “Serendipity” is relaxed and peaceful with moments that are moving and others that are lighthearted - a lovely ending to an excellent album. Flying Machines is a delightful introduction to John Otott’s music! 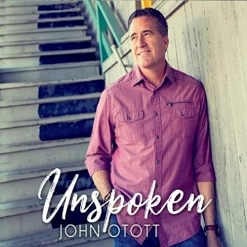 It is available from johnotott.com, Amazon, iTunes, and CD Baby. Recommended!